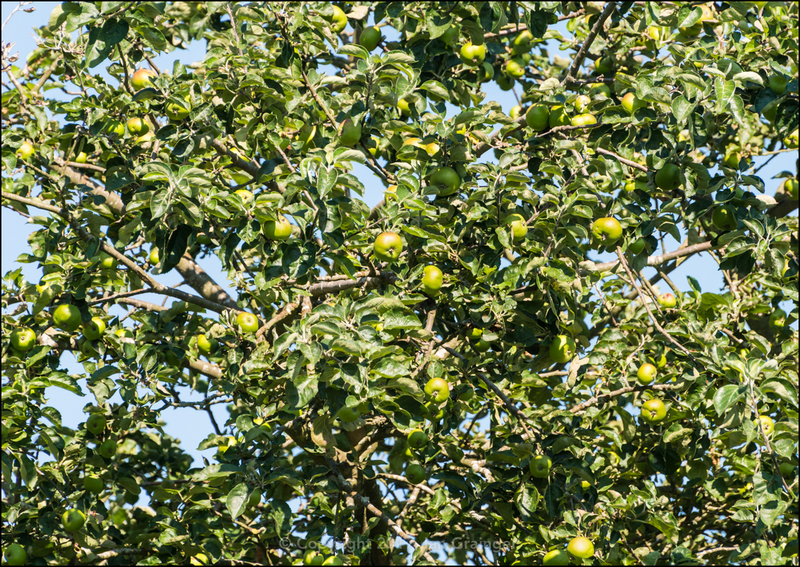 We were back to blue, cloudless skies, long sunny days, and soaring temperatures once again for my weekend photo shoot around dad's garden this week. 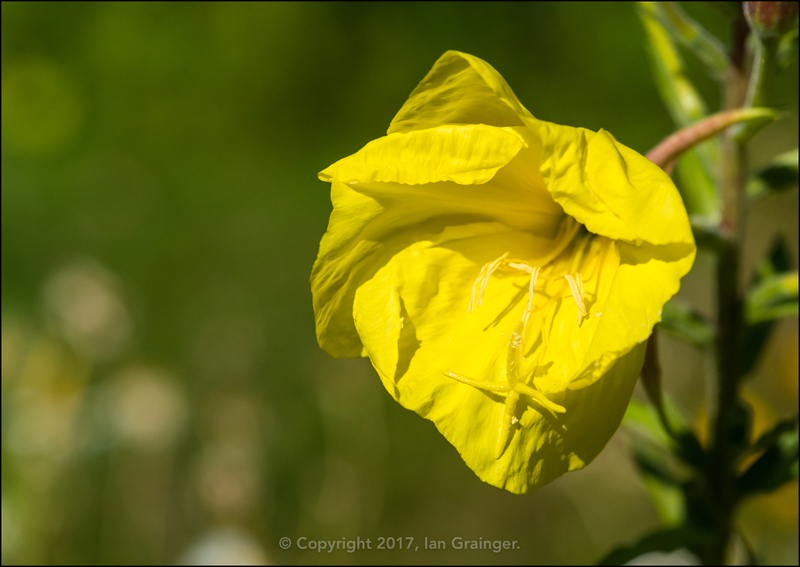 There were lots of new flowers appearing, and although the bright sunshine didn't provide the best conditions for macro photography, I managed to capture a few pleasing images. 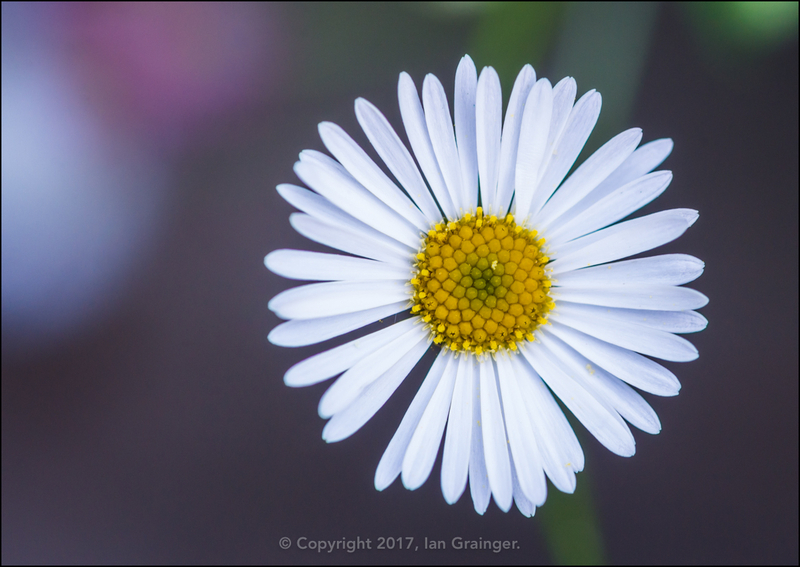 I loved these very simple daisy like flowers that covered the Erigeron Stallone (Erigeron karvinskianus) plants. 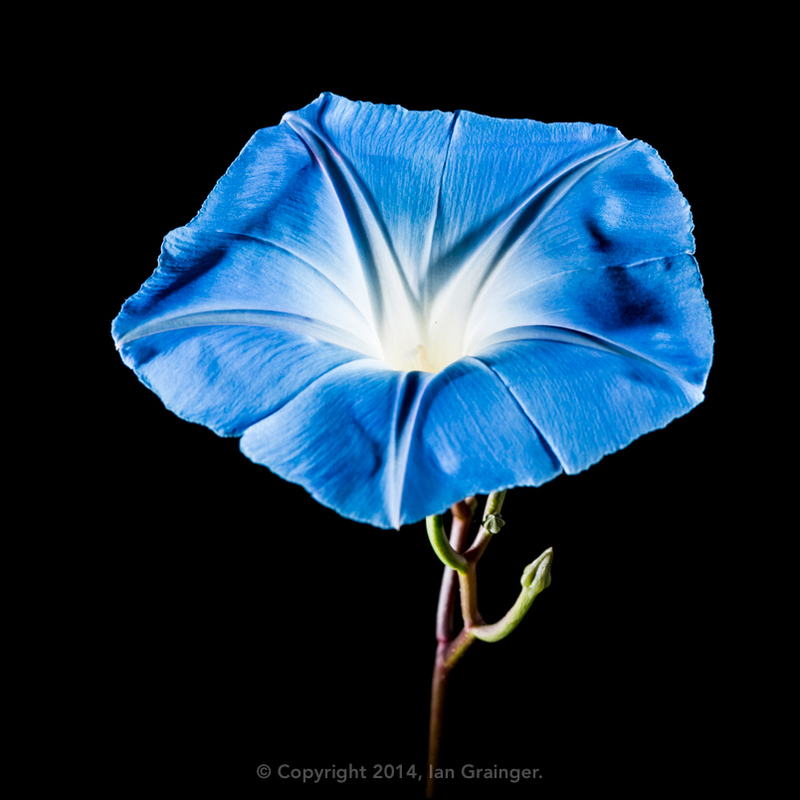 ...or this Morning Glory named 'Heavenly Blue', taken in 2014. 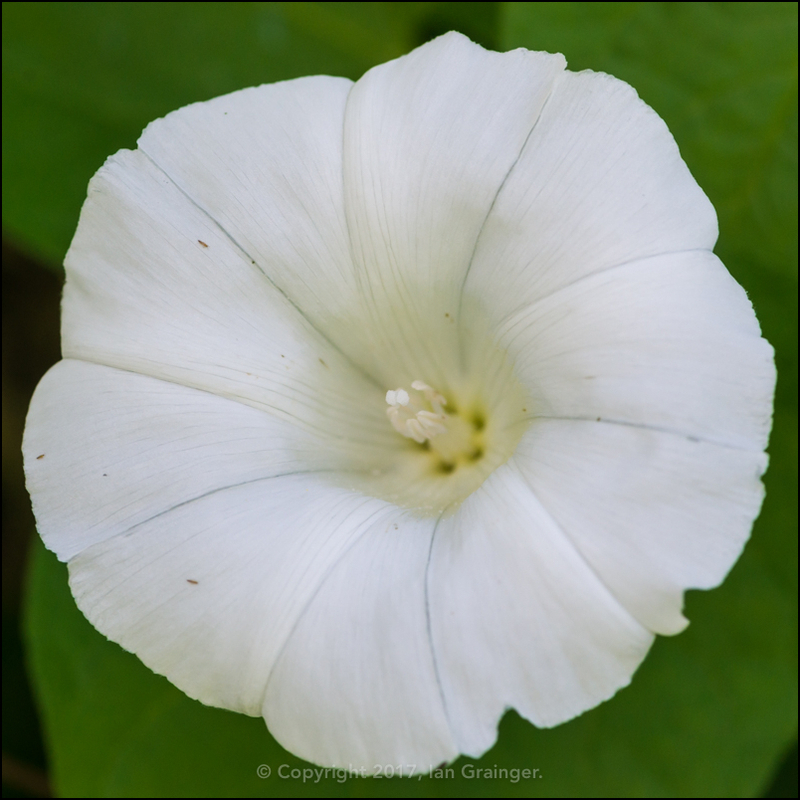 However, whether cultivated or invasive, I think the flowers are rather attractive whichever the species. 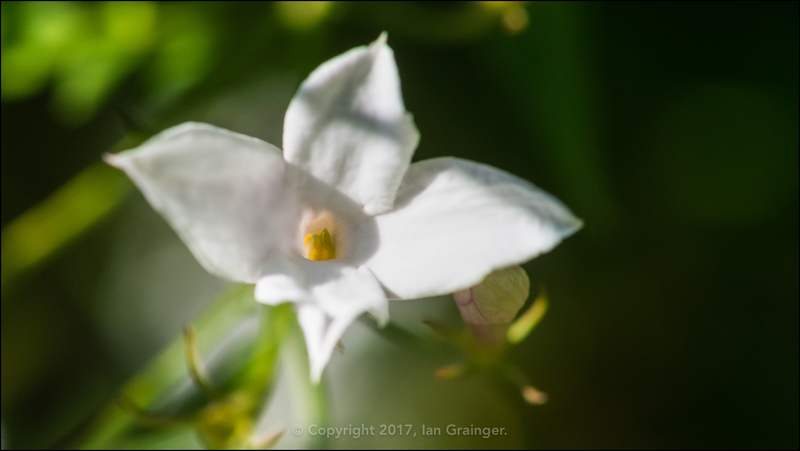 Back to the present day, and the Jasmine (Jasminum) bush was starting to fill up with these lovely small white flowers that have a very attractive scent. 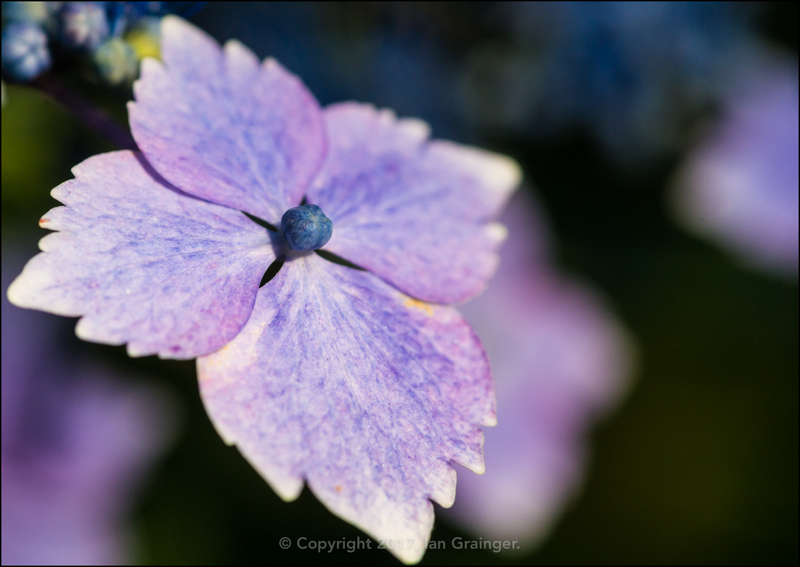 The Lacecap Hydrangea (Hydrangea macrophylla) bushes had also started to put on a wonderful display of very colourful blooms and bracts, these blue / purple coloured ones being my favourite. 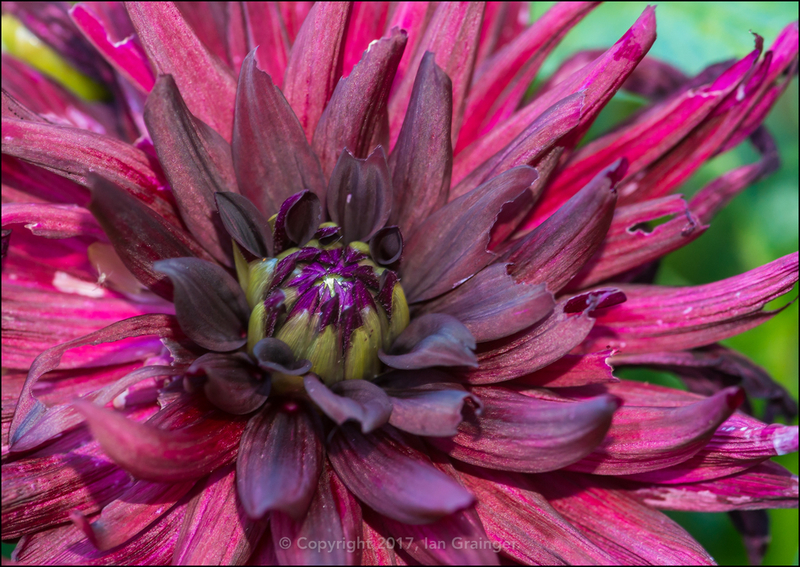 The Dahlia Nuit D'Ete had finally made an appearance, after teasing us with buds for a couple of weeks. It looked like there were plenty more blooms to come too. 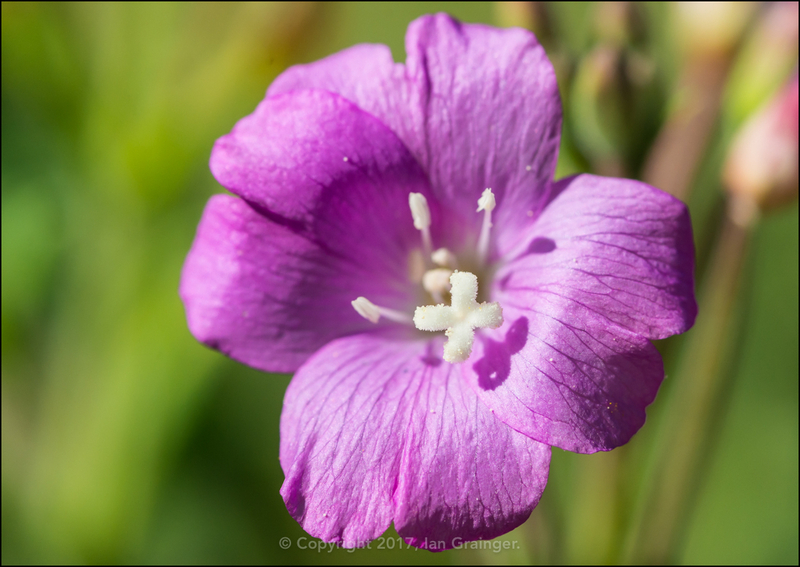 The Great Willowherb (Epilobium hirsutum) plants were looking rather striking in the back of the borders. I know they are considered weeds, but they are colourful, attract lots of insects, and look rather good up against a hedge. 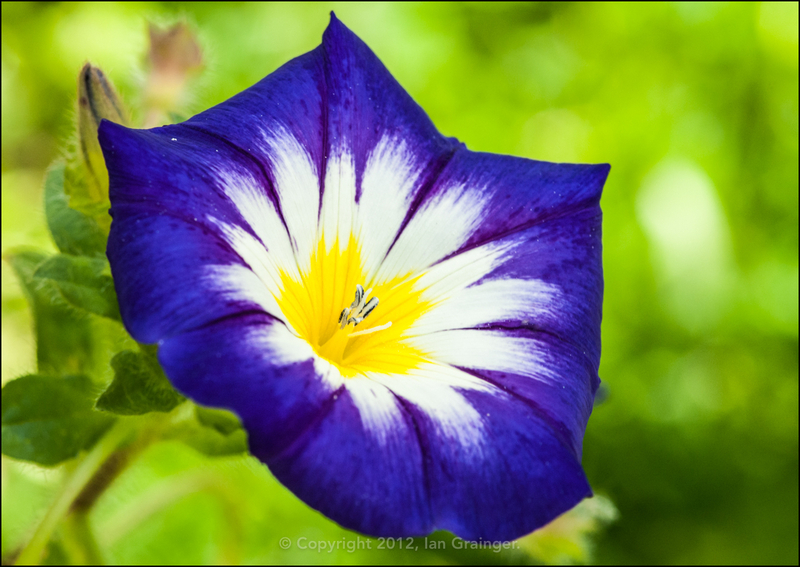 What more could you ask of a flower? 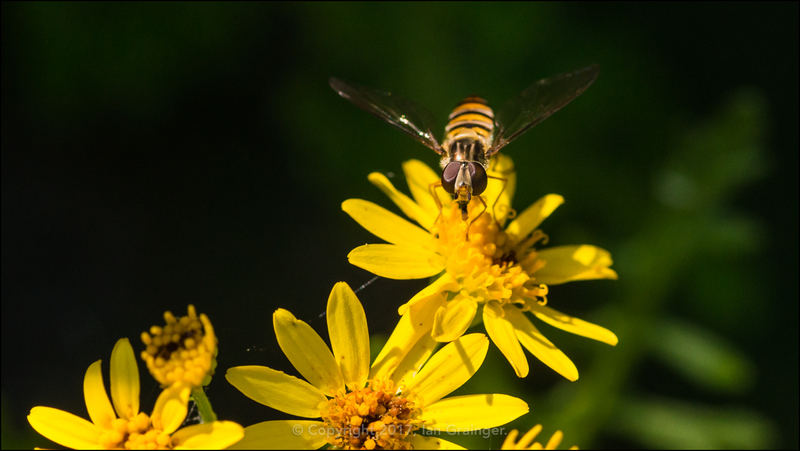 There were quite a few Hoverflies (Syrphidae) buzzing around the garden, with the Ragwort (Senecio) flowers being their favourite source of pollen by far. 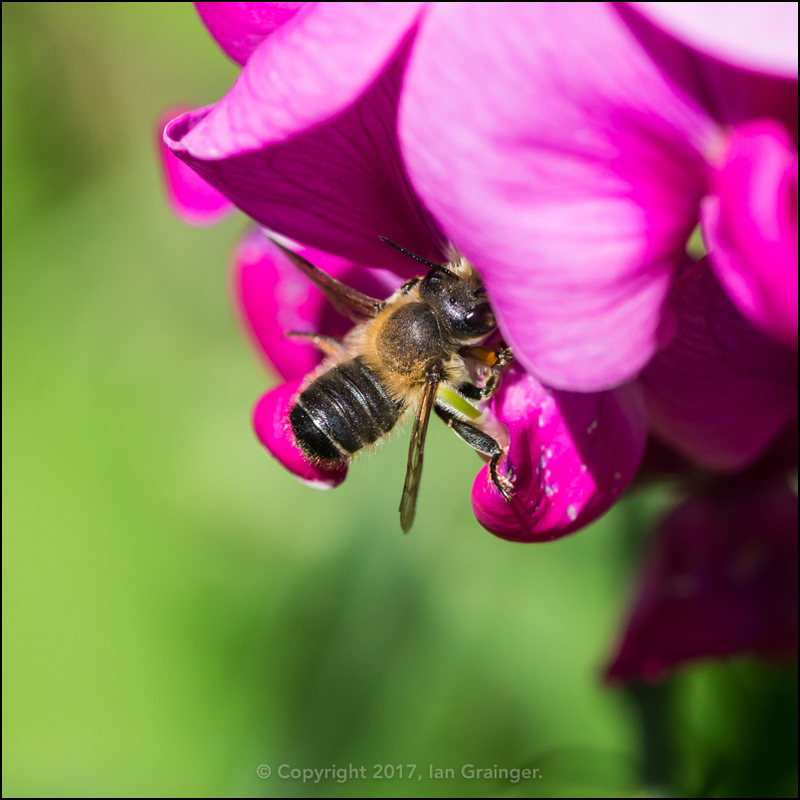 Meanwhile, these little Bees (Apidae) preferred to get their pollen kick from the numerous Sweet Pea (Lathyrus odoratus) blooms that had appeared during the week. 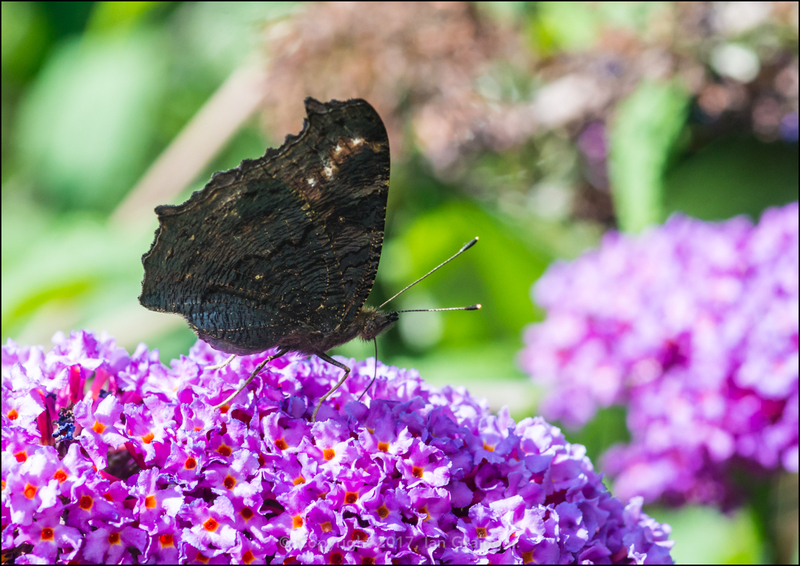 The Butterfly Bushes (Buddleia) were doing their thing and attracting lots of butterflies. This Peacock Butterfly (Aglais io) was certainly enjoying collecting pollen from them. 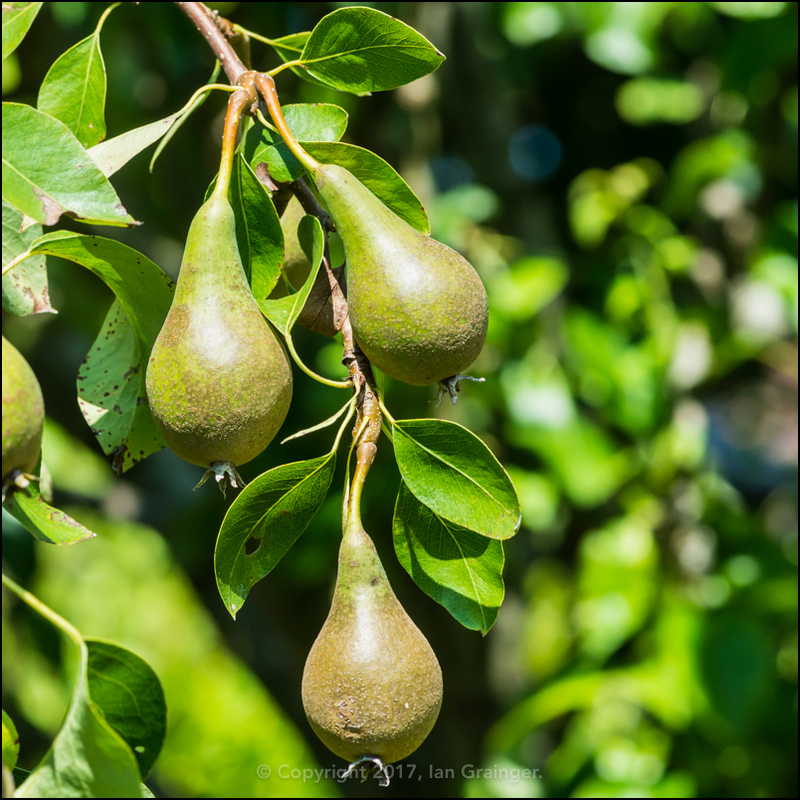 ...and this Pear Tree starting to produce plenty of fruit. 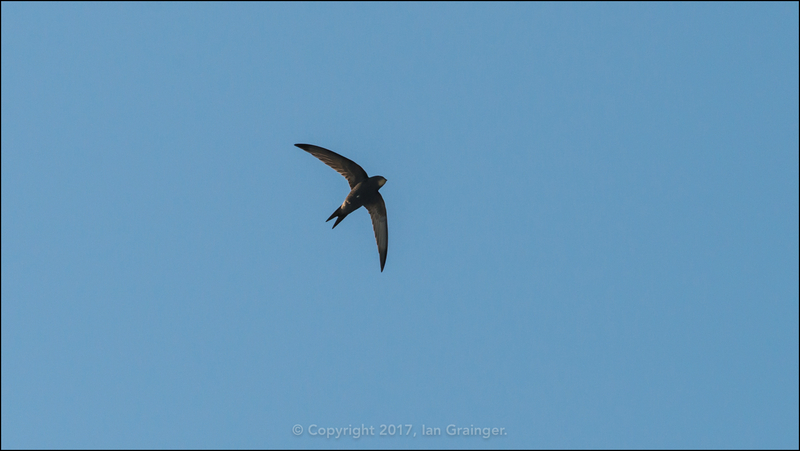 Turning my camera lens skywards, the Swifts (Apus apus) were still out and about, catching plenty of insects to take back to the nest. 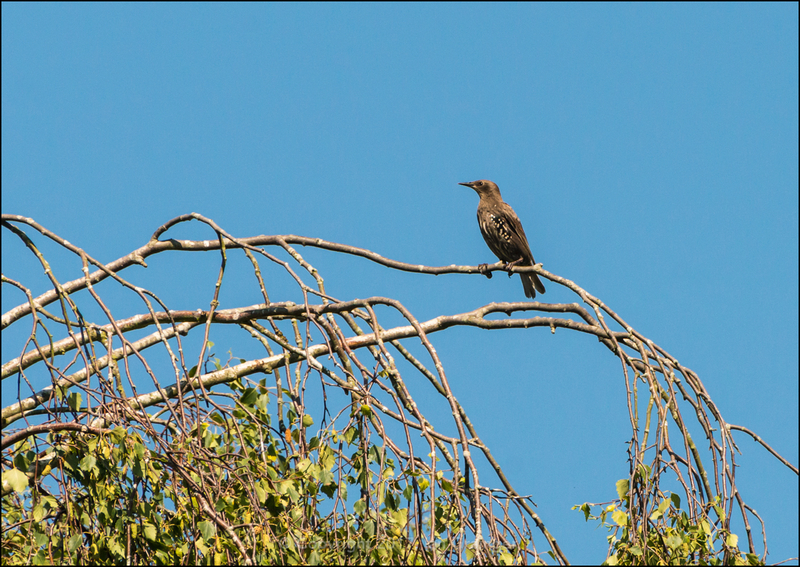 The juvenile Starlings (Sturnus vulgaris) were just beginning to get their adult plumage, and looked rather strange with their half brown, half black, part spotted appearance. 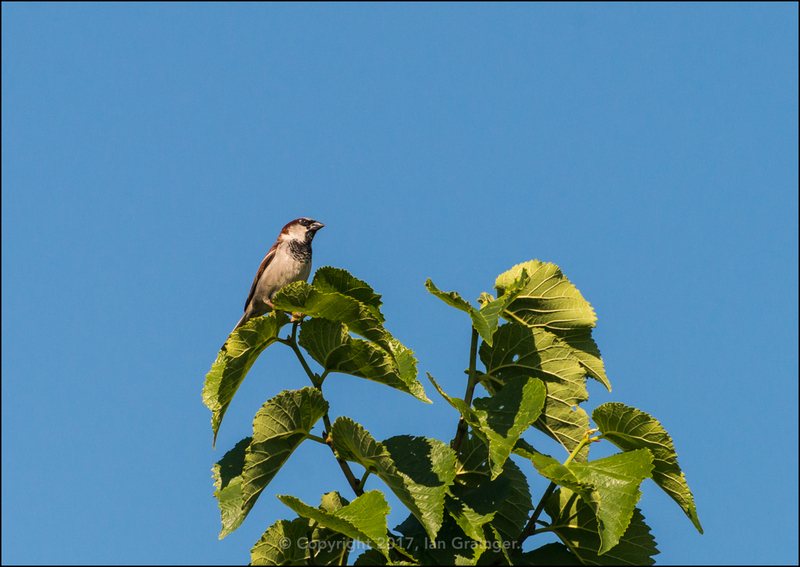 Meanwhile, a solitary House Sparrow (Passer domesticus) looked on, wondering what all the fuss was about. Finally, here's a shot of another one of my fishy friends. 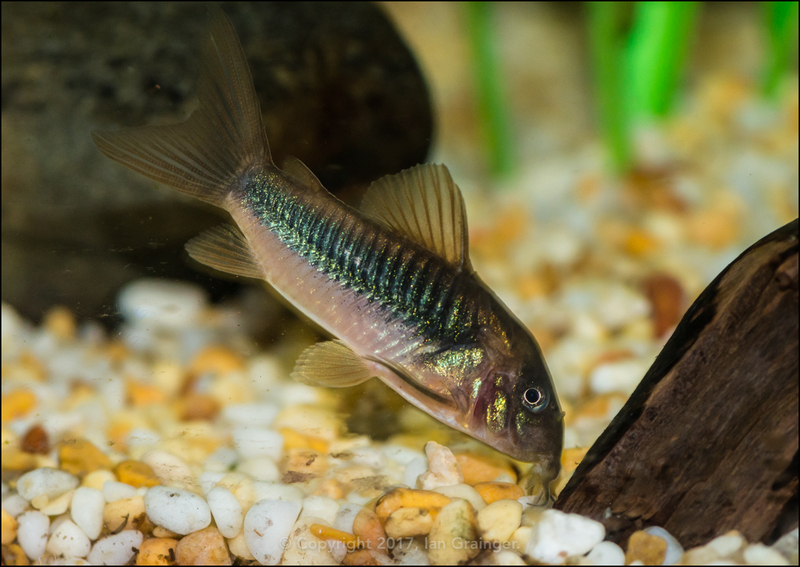 This is a Bronze Corydoras (Corydoras aeneus) catfish, of which I currently have a school of six. They're one of my all time favourite fish, and I kept them throughout my first stint of fish keeping for over a decade, and even bred them successfully. However, I've never noticed the green flecks in their armour coating before, which I can only put down to the flash bouncing off them at a very specific angle.